We all know that scientists are mixing and matching genes to make brilliant corn plants for our fields that ward off pesky bugs or to make wonderful bean plants that are resistant to important herbicides that kill off pesky weeds. But what are these brilliant scientists doing in Horticulture to bring you even more spectacular flowers than mother nature can provide? Who would have guessed that your flower bed could be a product of genetic engineering?! 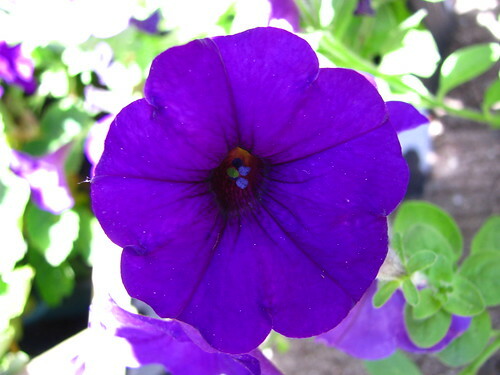 Even more amazing, that the same technology bringing us super purple petunias, could be life-saving (or at least life-altering!!) as well! For more information/the longer 14 minute version go to: http://www.pbs.org/wgbh/nova/body/rnai.html.